There is no doubt about it - we are lucky to get to live in the Southwest and enjoy such different and remarkable weather year-round. Arizona is especially awesome in the winter season for its amazingly pleasant temperatures. While the east coast is busy shoveling snow and scraping ice off their windshields all day, we get to enjoy the sun and all the great outdoor activities that Arizona has to offer, like hiking in our national parks or checking out the animals at the Phoenix Zoo. We also get to enjoy the beautiful landscapes right around us and plant some new trees and shrubs - maybe do some more gardening! Because of our warm weather we get most of the year, this cooler time is a great opportunity for updating parts of your yard, or even the whole thing! We spoke with nursery experts and designers to bring you some tips, suggestions, and ideas below to keep you busy and keep your landscape healthy this winter. For Moderate Water varieties, water 1 time every 10 days (New Trees, water 2x a week). For Tropical varieties, water 1 time per week (New Trees, water 2x a week). We suggest that you continue watering your plants, but you will want to change the watering schedule to accommodate the changes in temperatures and potential rainfall that comes this month. Since the temperatures are cooler and there is less sunlight, the soil stays moist for a longer period so that you do not have to water as frequently. Make sure you are always watering deeply and allowing time between sessions so that the soil can have enough time to dry up. If the weather is exceptionally dry feel free to water your lawn, shrubs, and small trees occasionally. Monitor your lawn during the month. If you have any issues, call your nearest Moon Valley Nursery and we can help you with your specific landscape! Using the proper fertilizer during this crucial time ensures that your landscape is regaining all necessary nutrients. Your landscape is getting a nice break from the heat now and it needs a bit of extra attention. Our Moon Juice is a great addition to your yard care routine. It can be used on all your trees, flowers, vegetables, and any other plants all year long in Arizona. Avoid any major pruning during this time. Do not do any more major pruning to freeze sensitive varieties. Hacking or cutting away large portions will leave the tree exposed and susceptible to any potential frost damage. December is a good time to plant new roses, flowers, and other annuals into your garden. We suggest not watering roses this month, unless the temperatures are a bit warmer than usual. We love helping people add citrus and fruit trees to their yard and this time of the year is when we suggest planting them! Our hot summer season has its pros and cons but one of the pros is how warm it heats up the soil and that warmth lasts long after the hot days are gone. Between that and the cooler temps overall, new citrus and stone fruit trees have the best chance for optimal root development while it establishes itself in the soil. You will be rewarded for this in the spring when you can start enjoying the tasty and healthy fruit right off the branch. Our Fruit and Citrus trees are grown specifically in our local climate, so they are guaranteed to produce. 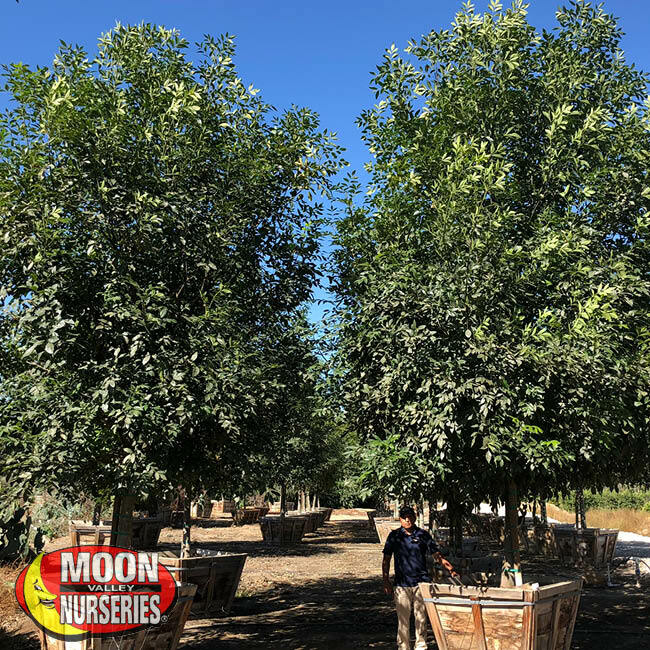 With Moon Valley Nurseries, you can purchase Specimen-sized fruit and citrus trees at fruit producing age, so plant them now, so they are ready for next spring! At Moon Valley Nurseries we know how time-consuming and stressful designing your own yard can be when you try to tackle it all on your own. From the moment you walk into our nursery to the moment we drive away from your freshly planted new yard, we can handle every step of the design process for you. You can find our expert designers available at every nursery location for in-store consultations, or schedule an at-home consultation. Our designers can get your whole yard done from shrubs to trees, we do it all and we do it right! From planning to free planting on all specimen-sized trees, we make sure we have everything covered for you! Moon Valley Christmas Trees are Back! It’s that time of the year again where Christmas trees start migrating south and Christmas tree lots start popping up on every empty corner! 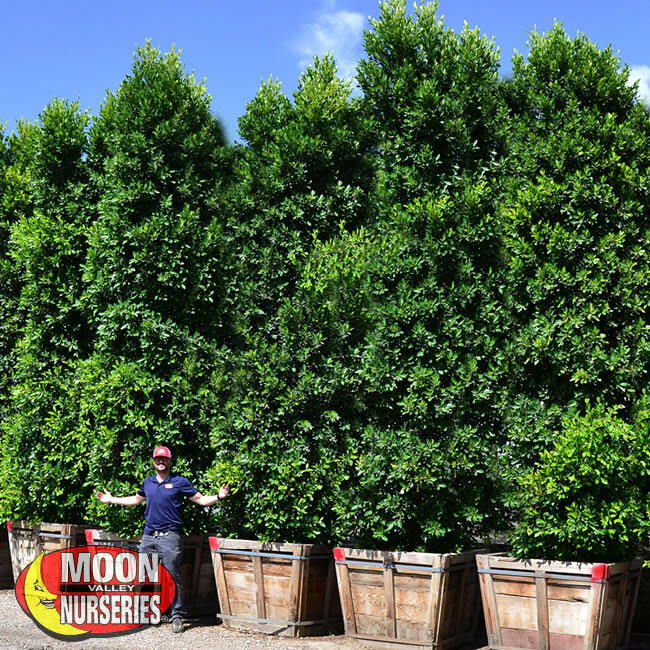 At Moon Valley Nurseries, you will find the freshest trees around. We ship them to your nearest location the day it gets cut down and never let it sit without water. We have some of your favorite trees like the Douglas Fir and the Noble Fir, and many other types and sizes! Come by and pick out your Christmas tree soon. Click here for more information and a Christmas Coupon! 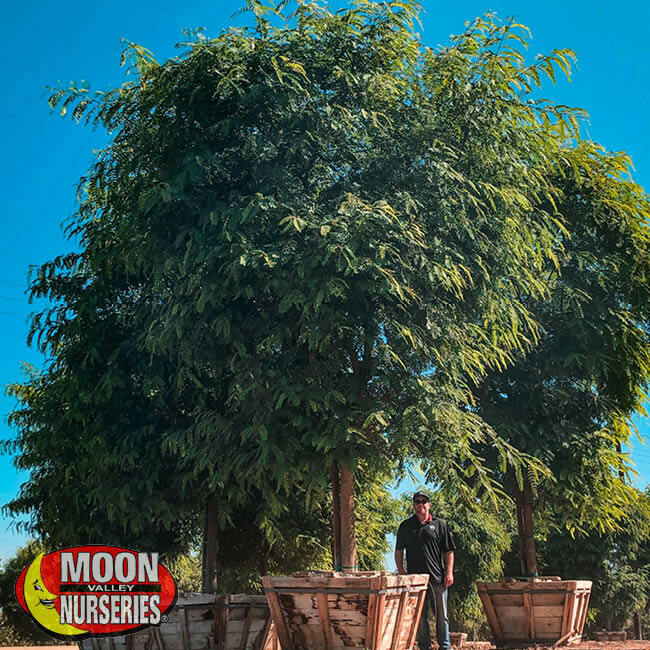 Because of its amazingly fast growth rate, the Tipu tree is a fantastic option for winter planting as the tree will establish its root system quicker and grow quickly in time to offer shade to your landscape. In the spring, the Tipu tree will show off a fabulous display of golden blooms mixed in with its layered canopy shape. These trees absolutely thrive in the warmer Arizona heat, most soils, and requires little upkeep throughout the year. The Majestic Ash is an evergreen seedless variety that stays greener than other ash trees. Because these trees are low-maintenance and virtually pest-free, it makes them ideal for any yard or street plantings. This is the ultimate shade tree and Arizona can never get enough shade! If you're looking for a tree with a large canopy of shade to provide a play area for your children or for a way to escape the afternoon sun, you will not be disappointed in the Majestic Ash. 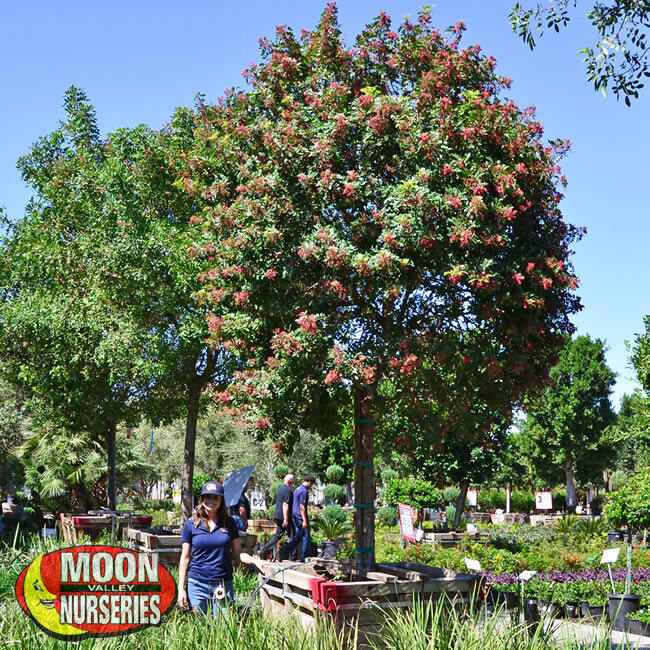 One of our favorite evergreen trees for winter planting is the Brazilian Pepper. The Brazilian Pepper thrives in the desert and requires little care or maintenance, once established. Its red colored peppers (that are sometimes mistaken for berries) and dark green umbrella shaped foliage makes this a must have for any landscape. This beauty will even attract some birds and butterflies into your yard every once in a while! These are one of the best trees you can plant for privacy from unwanted views, a sound barrier from your surroundings, and a great weather barrier. It’s easy to see why these are one of our best-selling trees! When properly placed around your home, these Hollywood-Style Hedges can provide enough shade to cool hot rooms and make an outdoor area more enjoyable for entertaining guests. Hedges will turn your space into the perfect yard! 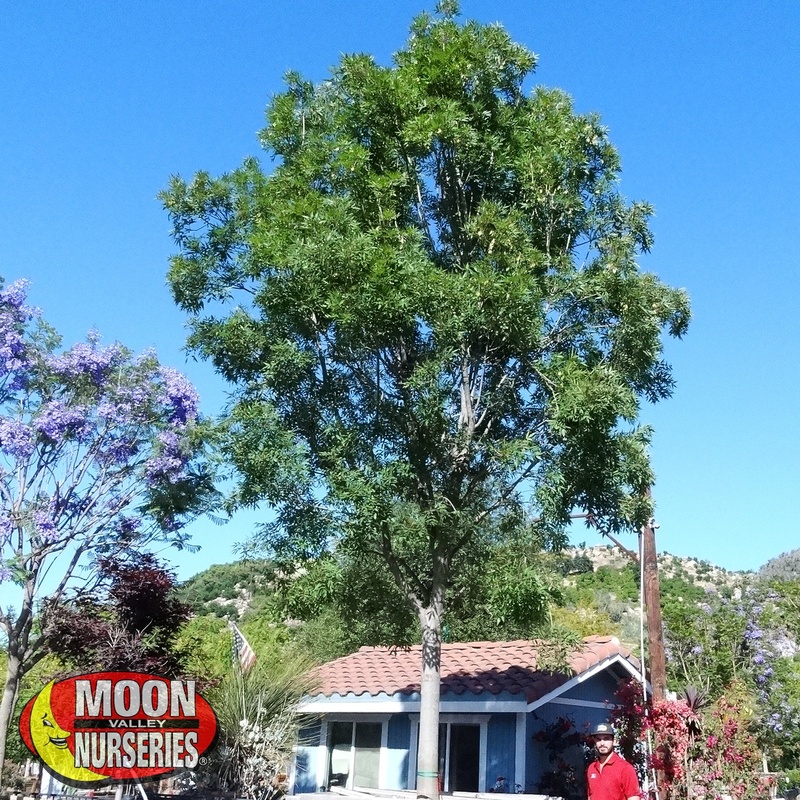 The Raywood Ash tree is a popular choice for the Arizona desert. It is known for its extraordinary display of dark red to deep reddish-purple foliage in the fall that gives any landscape a unique look for the season. During the summer, this ash offers much-needed shade with its large canopy. Its dark green foliage provides a sharp distinction to any landscape and looks great when it is planted as a focal point for a yard, where it can easily be admired.